· In 1933 representatives of the American Highway Freight Association and the Federation Trucking Associations of America meet in Chicago to discuss how to satisfy the National Recovery Administration’s order to all industries to show how they will comply with the Code of Fair Competition. The two groups ultimately agree to merge and form American Trucking Associations, filing a certificate of incorporation in September and choosing Ted Rodgers as the organization’s first president. · In 1934 ATA holds its first annual convention in October in Chicago. · In 1939 the federal government issues the first hours-of-service rules for trucking. · Between 1941 and 1945 the Office of Defense Transportation is created to coordinate efforts between ATA and the Department of the Navy and the Department of War. As part of this, ATA was asked to recruit personnel for the U.S. Army Transportation Corps. ATA also added four more conferences during the war: the American Movers Conference, Interstate Truckload Carriers Conference, National Tank Truck Carriers and the Regional and Distribution Carriers Conference. · In 1953 the ATA Foundation is formed to promote industry research. · The Federal Aid Highway Act of 1956 is signed into law, ushering into the Interstate highway era. · The Motor Carrier Act of 1980 passes, deregulating the trucking industry. · In 1981 all states adopt maximum gross weight limits of 80,000 pounds on their interstate highways. · In 1988 the Share the Road driver education program is born under the name How to Drive. Share the Road is a highway safety program of the American Trucking Associations (ATA). Since 1986, the Share the Road program has been teaching the public how to share the road with large trucks. 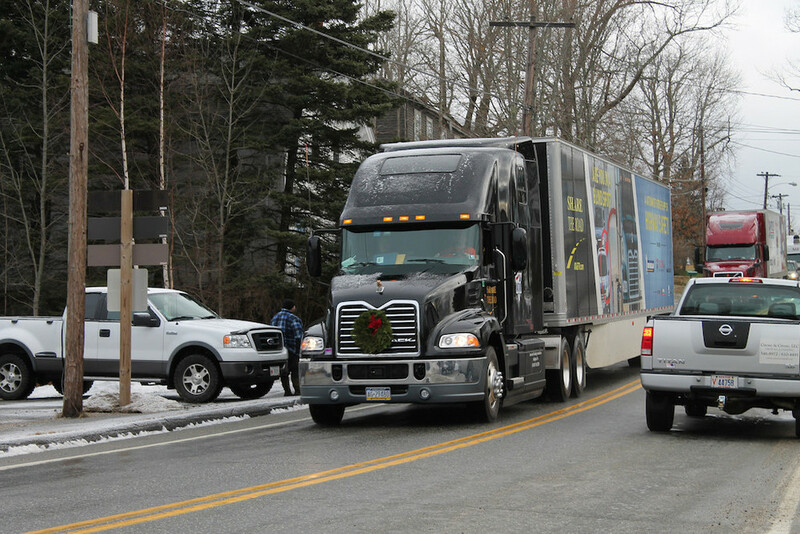 Million-mile accident free professional truck drivers deliver specific life-saving safety tips to the public, the media, and our public officials through television, radio, the web and in print. News conferences are held where cars and trucks are set up in simulated highway lanes that show the common ways in which accidents happen out on the road. The program’s goal is to reach as many people as possible and change driving behavior so that we can save lives.